Currently a student at the University of Texas at San Antonio. Seeking a degree in Business Administration with a focus in Marketing. 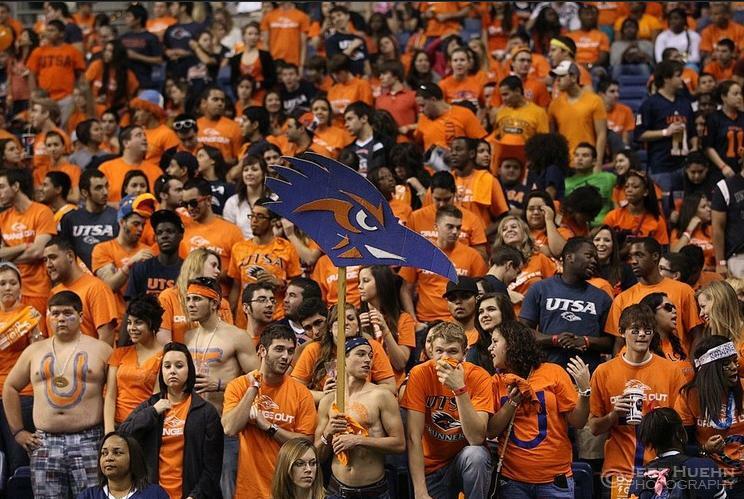 UTSA is a great campus, with enough resources to satisfy any student, regardless of major. I originally attended school in San Antonio because a good friend of mine from high school was also attending. This is by no means the best way to decide on a university, but I wasn’t ready to be on my own yet. Since freshman year, this campus has grown on me. The relationships I’ve made, the experiences I’ve experienced and the experiences yet to come. All I know is that I was meant to be here and I plan on making the most of my time here. Below is a picture of myself and a couple friends enjoying a home game of the inaugural season! I wouldn’t trade this for the world. That’s a cool picture! I go to high school in Texas and I need to start touring campuses. I was thinking I might check out The University of Texas at San Antonio. Your thoughts? Do It! Look me up. Awesome pic. Did y’all win?